A training session looking at wild plants, including trees and shrubs. 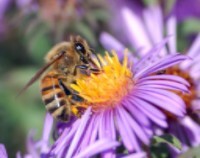 We will identify plants, get to know their ecology, examine their structure and how they fit into their plant family, their pollination and other wildlife values, and their connections to human culture. This event stands alone, but also builds on previous sessions in the Really Get To Know Your Wild Plants series. Suitable for beginners, and more experienced participants will be given extra challenges. 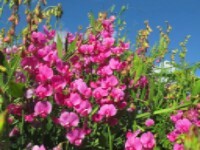 As well as looking at a wide range of plants, we will give special attention to the Fabaceae major family. Join us for cocoa by our camp fire and then a guided walk through the woodland with bat detectors to listen out for our furry friends. The bat detectors help you identify the species that are swooping around and to listen to them ‘chattering’ as they hunt for food. Event leader Ken Greenway the manager of the Cemetery Park is a registered volunteer bat worker with Natural England, and has been leading bat walks and talks since 2000. He is batty about bats. Suitable for all ages – under 16s are free. Booking essential – places are going fast. This is an after dark event – each two children must be accompanied by at least one adult. Learn how to make a range of home made natural and skin nourishing hand-cremes, lip balms, soaps and furniture polish using plant and vegetable oils with beeswax. Participants will also learn how to make simple candles. All materials are provided and you’ll leave with some beautiful products to take home. Mark Patterson is a beekeeper, bee inspector for DEFRA and leading beekeeping and bee conservation educator through his company Apicultural. Sunday 4 June 4:30pm-6:30pm £12/£10Guided walk to learn about the beautiful but deadly flora living in this idyllic urban woodland oasis hidden away in Mile End. Your guide Ken Greenway is a keen forager, so knowing some plants to avoid can help sharpen your wild food hunting skills, or just join us for his fascinating stories. 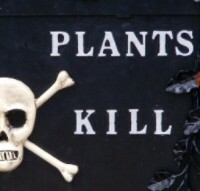 Discover poisonous plants like, Foxglove, Yew and buttercups. Ken will talk about what makes them poisonous, there level of toxicity and harm they can cause and mention stories relating to their use as an ingredient to cause harm and accidental stories of self poisoning along with stories from history about their known use. 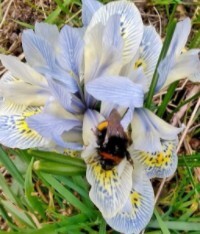 Join local bee recorder Mark Patterson and learn about the summer seasonal bees which make the cemetery park their home, how to identify bees in the field for beginners and how to submit your sightings to contribute to scientific understanding of bees in London as a citizen scientist. 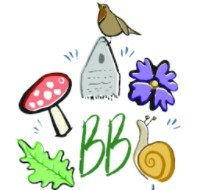 Saturday 17 June 10.30am – 12.30pm FreeExperience the magic of woodlands and wildlife! Seasonal, outdoor, nature activities and games for children and families. Sunday 18 June 2pm-4pmJoin us for a guided tour with ranger Sarah Tibbatts, who will talk about how we manage the Cemetery Park for history, people, and wildlife. All welcome. FREE (donations always welcomed). A botanical walk in the cemetery park, looking in depth at selected wildflowers now in season, exploring the plant itself, its ecology and its human connections – to literature, folklore, medicine, food and drink and crafts. 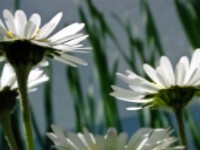 We will also look at other flowers more briefly. This month: Rosebay Willowherb, Salad Burnet, Foxglove, St John’s Wort, Field Scabious, Black Knapweed, Meadow Cranesbill, and Bird’s Foot Trefoil. In honour of International Mud Day (seriously) we are hosting our very first Muddy Play Day. This aims to get kids outside and getting dirty, especially those who might not have had the chance to play in the woodland before. 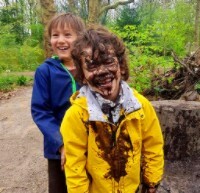 We’ll offer a free session of muddy games and crafts for children aged 3-11. Wear old clothes! No need to book, just turn up. All children must be accompanied by a parent or guardian. ← Help this neglected website!